Various designs which are phenomenal and unique chairs actually have started popping up since 1920. Many of the unique chairs from that year still survive until today. 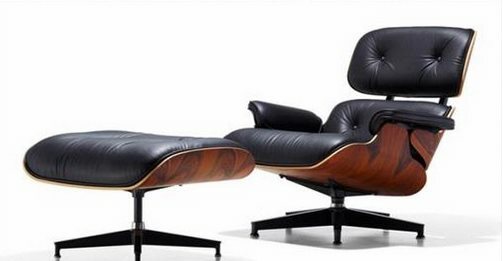 Eames lounge chair and ottoman is an iconic design and is very popular. The chair is the result of the work of Charles and Ray Eames. Not only “just” decorate living rooms and workspaces around the world, Eames chairs are now also “live” in museums such as MOMA, New York and the Art Institute of Chicago. In addition, various documentaries and books have been dedicated to this chair. Eames chairs first appeared on the television show Arlene Francis “Home” on NBC channel in the United States in 1956. After that, over time, Eames chairs are not just limited to the material and the initial design. Eames chair is also available in white pearl. This chair has a metal component covered white finish that accentuates the aluminum accents on the seat base. Today, though richer in terms of design variations, Eames chair manufacturers remain concerned with the quality and comfort of the seat. 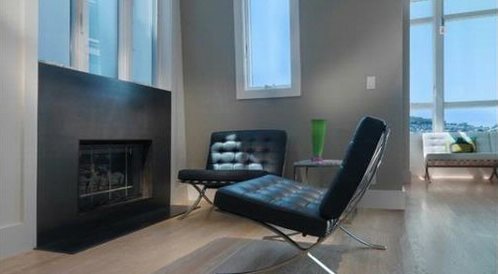 The Chair was designed by Ludwig Mies van der Rohe and Lilly Reich. Initially, the seat was created for the German Pavilion at the International Exposition in 1929. Then, the seat frame was designed back in 1950 using stainless steel. seats Production is housed in the United States and Europe. 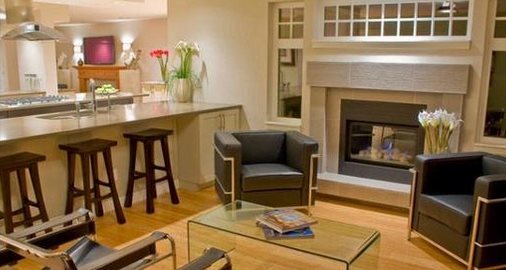 Since 1953, Knoll company holds exclusive rights to manufacture and market the product. So, if you want a seat, you will find the signature logo KnollStudio and Ludwig Mies van der Rohe in each unit chair. Retail price of these chairs reached 7740 U.S. dollars and are available in a variety of colors and special seats for children. Eames Lounge Chair Wood or known as Low Chair Wood is a work of Charles and Ray Eames. Simple chair that has a low-sized feet are designed to use technology to print plywood (plywood) developed by Eames before and during World War II. This special chair designed by Jens Risom in 1941. this Relax chair is made from maple and walnut. This chair has a natural look and is very stylish Scandinavian available in cotton and nylon to be the chair holder. These chairs are also produced by Knoll and available a variety of colors and materials. Sitting on this chair means you’re sitting on a woven material. The creator, Jens Risom, a Danish-born man who received his education in his home country. He was working as a furniture and interior designer in Copenhagen, precisely in the office of architect Ernst Kuhn. In 1939 he immigrated to the United States and designed one of the Knoll collection. After World War II, he opened his own company. According to the official website of the manufacturer of iconic chairs Knoll.com, “The Butterfly Chair” (“Butterfly Chair”), or the work of the Hardoy Chair Ferrari-Hardoy Jorge. Grupo Austral introduced their first leather seats made from animal skin and iron sheets coated at Salon de Artistas Decoradores Third in Buenos Aires in 1940. Although introduced in the group, the proficiency level suggested that Hardoy chair is the private work of Ferrari-Hardoy. Wassily Chair, also known as the B3 chair model. This chair is the work Barcel Breuer in 1925-1926. At first, these chairs are available in types that can and can not be folded. This chair is a chair revolutionary in his day. The reason, the chair uses materials and manufacturing methods that are superior to most of the seats in the late 20’s. This chair is made of seamless steel tubes with chrome finishing. Holder made of cow leather and available in black, brown, white and beige. 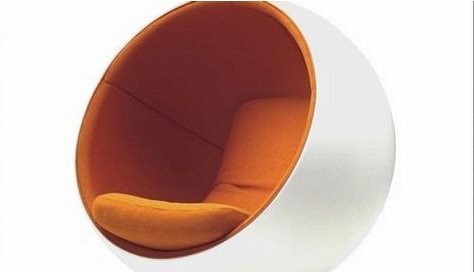 The chair is shaped like a ball is one of the iconic works of furniture. Chair designed by Eero Aarnio in 1963 has a “shell” fiber. Unlike the outside, the inside of the seat is comfortable. Since the beginning of production, up to date, the chair still looks modern and futuristic. Le Corbusier chaise longue or Le Corbusier chaise lounge is a beautiful masterpiece designed in 1928 by Le Corbusier, Prieere Jeanneret and Charlotte Perriand. When the chair was made, the use of metal cylinders was a remarkable innovation. Details of this chair, with its elegant design, the chair is very popular. This chair is very comfortable and feels to this day and remains a separate icon. Other works of Le Corbusier is no less iconic LC2 armchair Petite Modele. Currently, only Cassina furniture-furniture that makes the work of Le Corbusier. Cassina is holding an official license for the production of the works of Le Corbusier. This chair is a chair and a sofa made by Arne Jacobsen in 1958. Arne Jacobsen chairs are made for the Radisson SAS Royal Hotel in Copenhagen. Now, the unique chairs are manufactured by Fritz Hansen Republic of.